Wycombe Wanderers have signed Cardiff City goalkeeper Elliot Parish on a short-term emergency loan. Manager Gary Waddock moved for the 22-year-old after first-choice Nikki Bull aggravated a thigh strain. Another Chairboys keeper, Martyn Ingram, is also out of action after undergoing knee surgery. "It's unfortunate with the injuries here, but it's my opportunity now so hopefully I take it," Parish told the club website. 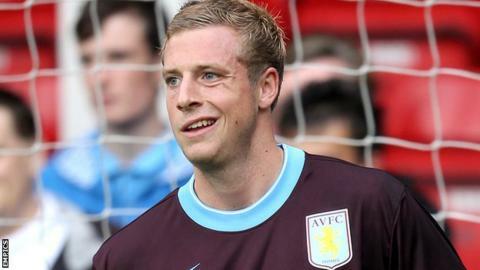 He began his career with Aston Villa, where he worked alongside international keepers Brad Friedel and Shay Given. Loan spells at Lincoln and Cardiff followed before he joined the Welsh club on a permanent deal in January. "It will be nice to get out on the pitch again," added Parish, who has been added to the squad for Tuesday's League Two game at Exeter.